Hi there!!! It's been a busy week on my blog and I've finally had a chance to sit down to play with my new goodies from Stamping Bella. I have been wanting to get into mixed media and finally bought a bit of stuff to play around with it. 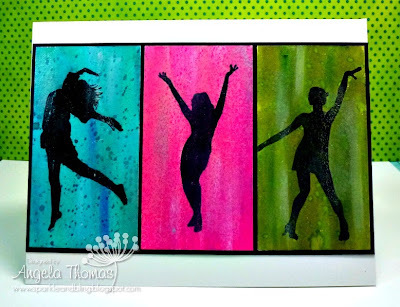 The silhouette images from Stamping Bella work perfectly for this. I decided to use the images called Happy Silhouettes. 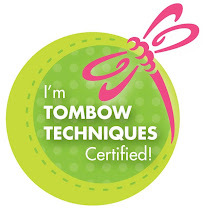 I stamped the images with Versafine Onyx Black and embossed with clear embossing powder. I then used Distress inks and Gelatos with a little bit of Inkagold. I then spritzed each of the silhouettes with some Dylusions sprays. I love how bright it turned out although I definitely know that I need more practice with this whole mixed media thing.